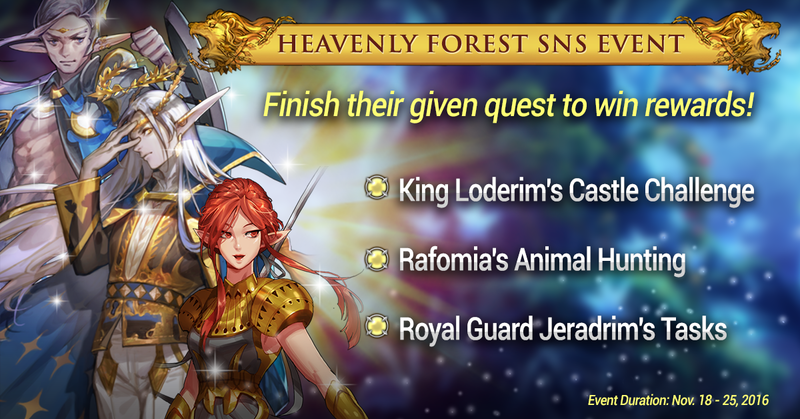 Home » Mobile Game » Android » Fantasy Squad Hits 10K LIKES – New SNS Event Unfold! OnPlay are so pleased for the greater milestone that Fantasy Squad had achieved. For almost 3 months in a run, Fantasy Squad’s Facebook page has already garnered 10K LIKES. They are so grateful for these gestures and over $100 worth of in-game items are up for grabs! With this milestone, exciting rewards are up for grabs! Come and join in their SNS Events that will run until Nov. 25th! Jewels and coupon codes will be given away! Keep those hopes high as they’ll be making it come true! They won’t run out of amazing community events for our gamer. This is an exchange of their never-ending support through reviews, feedback and game downloads. No more room for hesitation, join NOW!!! For more information, feel free to visit Fantasy Squad Official Facebook Fan page. Previous Download NOW – Iron Blood, NEWEST Monster Hunting RPG! Next Rogue Life: Squad Goals is wrapping up NEW hype!